Android or iPhone for Healthcare Apps? Android and iPhone are the two most preferred mobile devices, today. Each of these mobile OS’ are constantly trying to outdo the other, both in terms of the developer and the user. While each is just as powerful as the other, they are not without their own unique disadvantages. The Apple iPhone is such a rage today, as it is easy to use and also offers just one centralized vendor solution (iTunes Store) through which developers and users can interact with each other. The iOS developer has to think only of one place to sell their app — the iTunes Store. Since there is only a single mobile platform with Apple, there is no question of fragmentation and every process is highly homogenized. However, this reduces problems of compatibility, both for the developer and the user of the app. On the other hand, Android is an open source operating system intended to run on a variety of mobile devices, ranging across brands and models. Android is an actual mobile OS and not merely a mobile phone. Android is more dynamic in the sense that manufacturers may license the OS for any device of their choice and make modifications in the OS as they require. There is no centralized vendor with Android as in the case of Apple. The developer has numerous online Android sources to choose from, apart from the main Android Market. While Android helps provide the user with a variety of apps and features, the problem that occurs is that the OS is highly fragmented, and therefore becomes a lot more complex in nature. Both Apple and Android are based on the same OS—UNIX. The main difference here is the UI. Apple has been projected and marketed as the ultimate smartphone for both developers and users alike. Their aggressive marketing strategy ensures that the iPhone is always in the limelight which makes it is the preferred OS for many app developers and users as well. Android, on the other hand, has had a good deal of struggle before it could offer serious competition to Apple. Starting off with humble beginnings, Android is only now being recognized for its versatility and true potential. However, Apple still has a lot more developer strength than Android. Apple offers just one solution to all its devices and that is one of its major advantages. Since the developer has to deal only with one platform, they don't have to face major compatibility issues during development. Also, testing a medical app gets that much simpler with fewer versions of the OS to deal with. By and large, the platform offers much more stability than Android. The Android OS ranges over many devices and brands, so it tends to be complicated for even expert app developers. This gets especially critical with medical apps, as they may work on one device, but may be incompatible with another. However, Android is not limited to merely one device, and therefore offers a complete range of enterprise solutions to both the developer and user. Both the iPhone and Android are basically excellent devices, each having its own pluses and minuses. 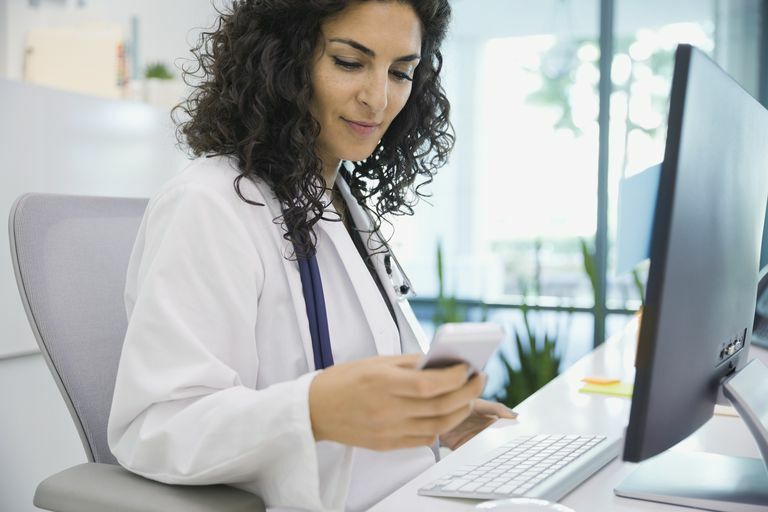 However, both developers and medical institutions must fully analyze the pros and cons of each mobile platform, before developing or approving medical apps for the same.